It’s strange “fish”, rare wildlife, and ghosts and gangsters in the mountains this week on THE DARK VAULT OF PUBLIC DOMAIN! Join UNCLE PETE Saturday night as he and OXNARD spend some quality time at Lake Dark Vault. After last week’s epic battle with the Lake Monster, they’ve decided to dig up a movie with their favorite troublemakers – The East Side Kids. It’s the 1940 film feenomy-nom, Boys In The City. It’s a hot day in the Bowery, and Muggs )Leo Gorcey), Danny (Bobby Jordan), Pete (David Gorcey), and the rest of the gang are hot and decide to borrow a fire hydrant to cool off. Well, the local flatfoots, er, police don’t appreciate this and the boys are once again pinched. Algy (Eugene Francis) has his Dad go to bat for the boys and it’s agreed they will be released to go up to Dad’s place in the Adirondacks under the supervision of Knuckles (Dave Tex O’Brien) who has had his own experience with mischief and is trying to help the gang stay on the straight and narrow. So off to the mountains they go. But also on the same road is Judge Parker (Forrest Taylor), a man slated to testify against the mob guys and a man whose life is in peril because of it. As a result of some car trouble, the gang and the Judge wind up at the Judge’s mysterious castle-like mountain get-a-way complete with creepy housekeeper, scary cook, nearby cemetery, and at least one restless ghost. There are secret passages, an invisible organ player, disappearances, mystery, action, and non-stop hi-jinx. 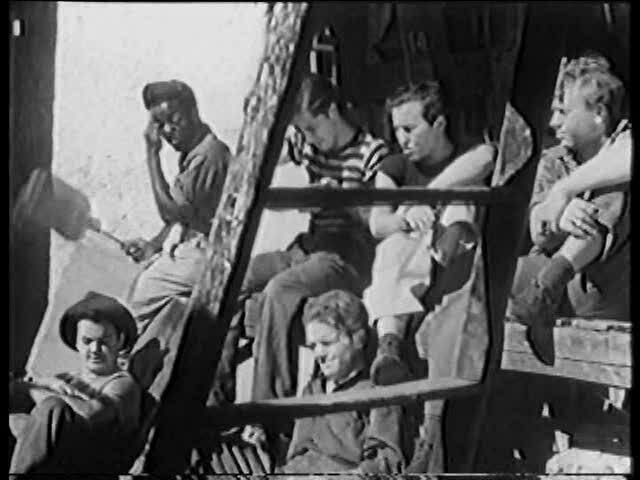 Also featuring Sunshine Sammy as Scruno (no Huntz Hall this time), from director Joseph H. Lewis it’s Boys In The City. Meanwhile, UNCLE PETE and OXNARD have a little heart to heart about living a dog’s life and explosions and monsters and stuff. Then it’s time for a little fishing, and between the normal creatures in Lake Dark Vault and the recent hungry lake monster, it makes for an interesting catch. And speaking of interesting catches, UNCLE PETE takes time out from angling to bring you our favorite cartoon cutie – Betty Boop. It’s Betty and Grampy this time from 1932 in House Cleaning Blues. 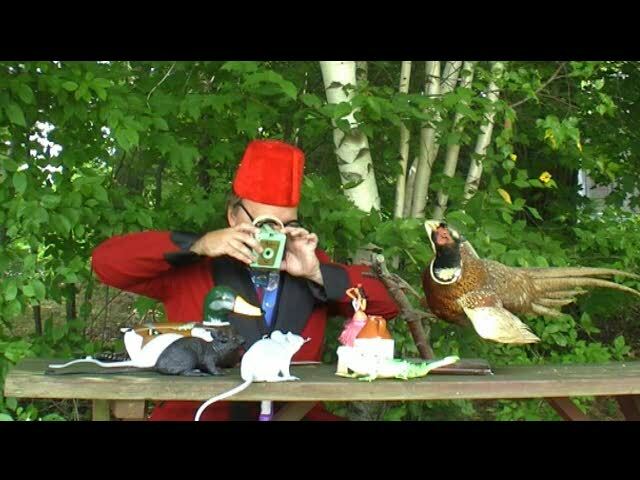 Then UNCLE PETE goes in search of some of the rare and unique wildlife around the lake including the always accessorized Vito-Necked Pheasant, but not before a double-header of George Burns and Gracie Allen. George tries to buy some cigars from sales clerk Gracie in 100% Service (1931) – a simple task, but not when Gracie is involved. Then George is a street cleaner and Gracie a nurse in Walking The Baby (1932). It’s action and adventure, fishin’ and fun, and a card game with wildlife this week at 10PM til midnight Saturday, November 10, 2012 on cable channel 4. Join UNCLE PETE and OXNARD as they bring you Boys In The City, the feature presentation on the next DARK VAULT OF PUBLIC DOMAIN!!! ~ by UNCLE PETE on November 10, 2012.